I started on my Disney cruise trip album last weekend. 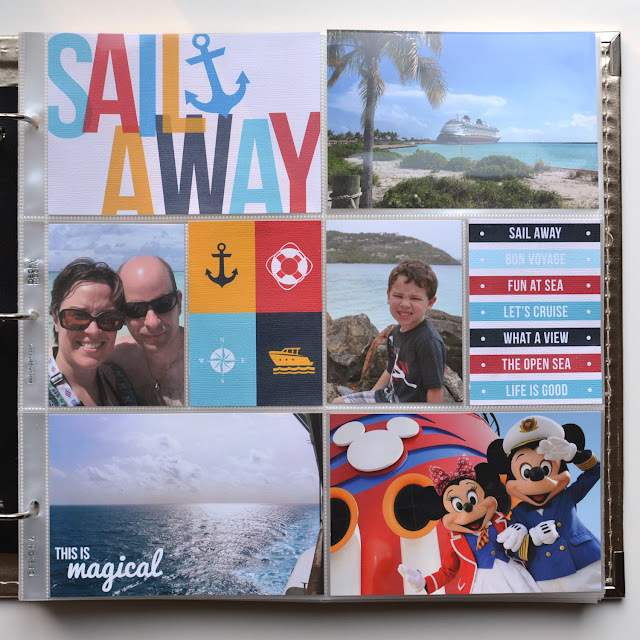 I'm using a gold 12x12 Project Life album. I'd picked this up last year and was initially using it for Project Life this year, but then I quit after doing only a few pages. I still have a lot of page protectors leftover so I wanted to put them to good use. For the album, I'm going to use a mix of supplies. 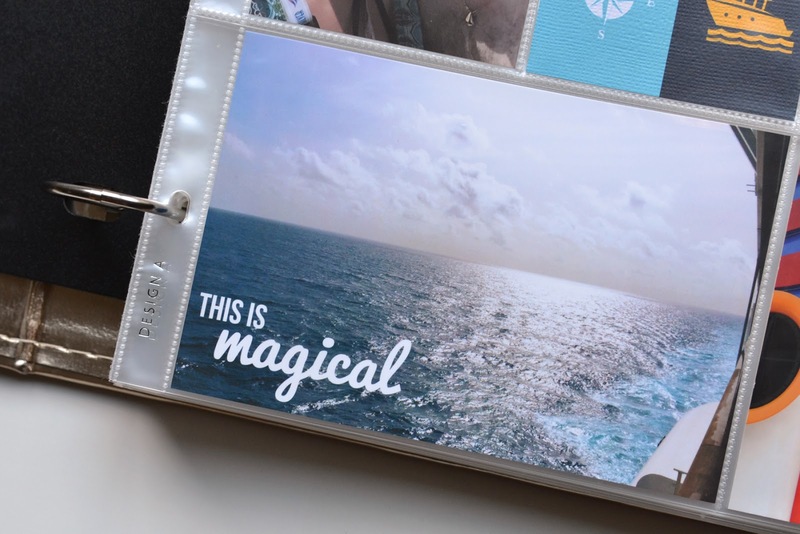 I picked up the Project Mouse (At Sea) Journal Cards from The Lilypad, which I used on this page. 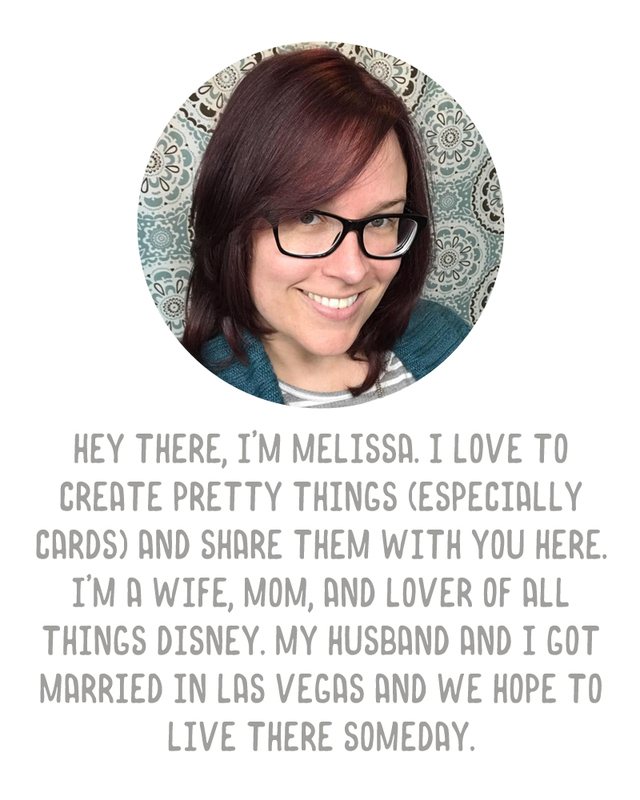 I've found some fun freebies from Pinterest, and I'll use some of my digital stash as well as whatever Project Life cards I have around here that coordinate. I'd like an overall nautical theme but obviously not every card has to have an anchor on it or anything like that. As I'd mentioned, for the cards, I used some of the Project Mouse (At Sea) cards. I just selected the ones I wanted and printed them, but the file comes with a printable PDF too. 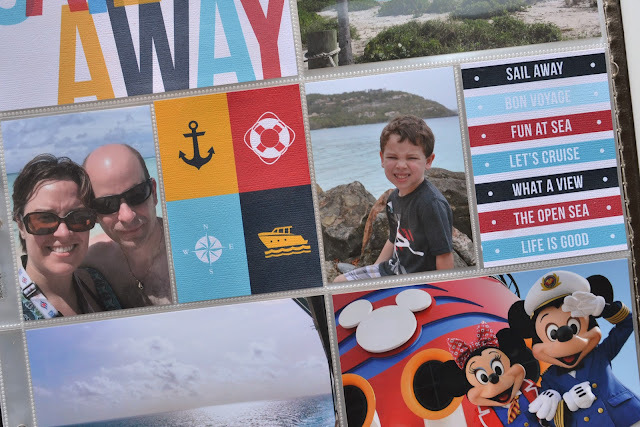 I printed them on this American Crafts textured card stock, which I LOVE. I added one of the shots I took looking out from the side of the boat with some text I typed up in PSE. 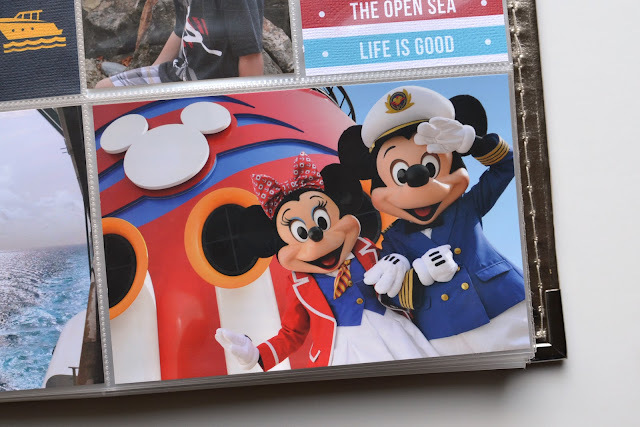 And I found a couple of postcards in the drawer in our stateroom, so I included the one with Minnie and Mickey in the bottom right pocket. I thought it was perfect for the cover of this album. I can't wait to spend some time on this album! 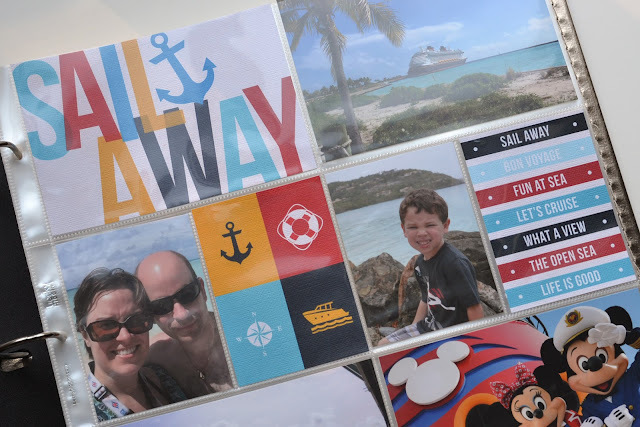 Scrapbooking vacations is fun, because you really get to relive those memories.